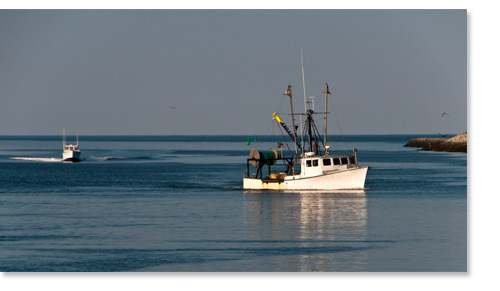 Star Fish Market is located in Guilford, CT.
We are a family orientated and hands on seafood market. We strive to buy the freshest and highest quality fish, shellfish and smoked products that are available. Throughout the years, we have set the standard for being able to purchase the widest variety of fish from Alaska to New England & Canada, along with fresh water fish from the Great Lakes. Star Fish Market has the ability to procure fish from all over the World. We source all of our lobsters, fish, shellfish and smoked products to make sure that they are being caught in a manner that follow the strictest government guidelines. Our goal is to buy local as long as the waters and the manner that they are caught are sustainable. The Aquaculture Farms that we purchase fish, clams, shrimp and oysters from are always sourced. We expect our suppliers and our partners to be in compliance with the National Marine Fisheries, Fishermen's Associations and the National Fisheries Institute. While you might come into Star Fish Market to purchase fish, shrimp, lobsters, shellfish and smoked products, you will also have the pleasure of acquiring international and farmsted cheeses, hard to find groceries and pasta, along with organic, free range meats and cured charcuterie. Please don't hestitate to call 203-458-3474 or place your internet order in advance so that we may reserve your products. Our objective every day is to be out of fish at the end of every evening. This is why we recommend that you order in advance.